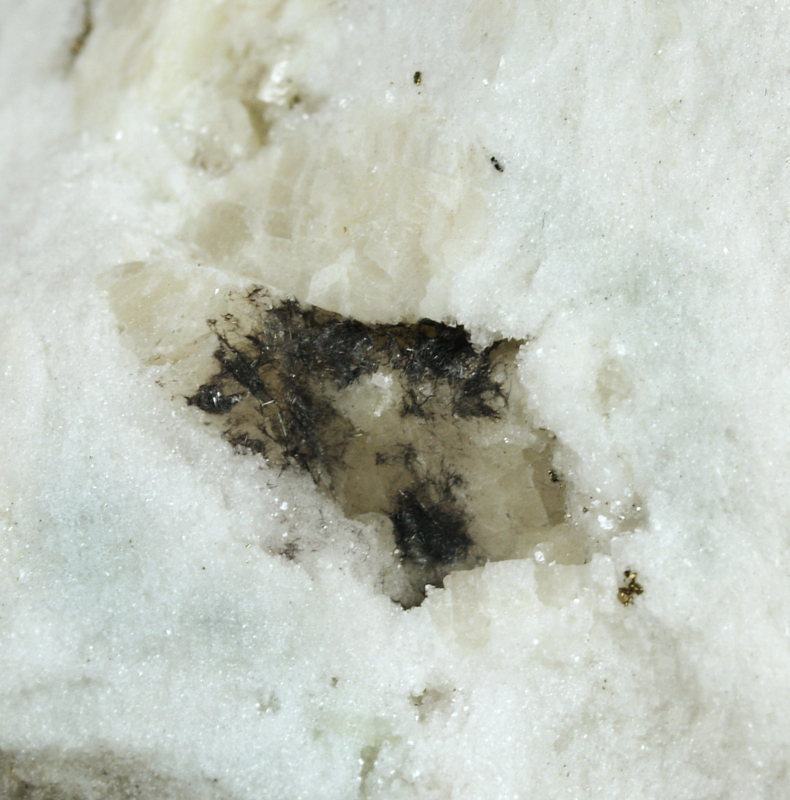 The Lengenbach Quarry (LGB) is located in the Binn Valley (Valais, Switzerland) and it is famous among the mineralogist community for its unusual sulfosalt specimens. These minerals have been highly appreciated in the past and also today, due to various factors: the rarity and the diversity of the mineral species collected, the notable perfection of crystals... and also for its esthetic contrast with the snowy dolomite matrix. 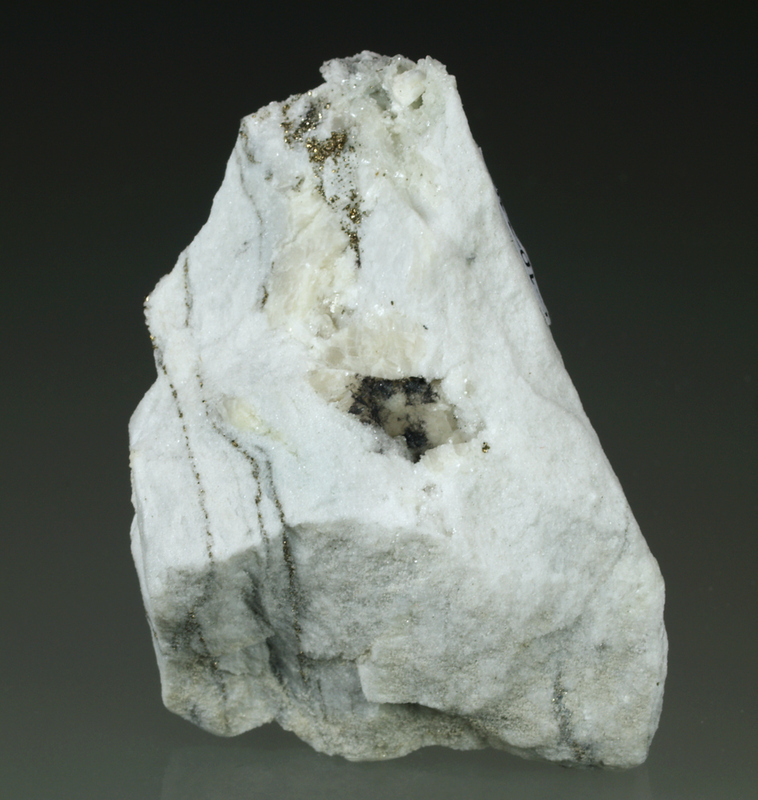 For nearly 200 years, many mineralogists from Europe have devoted a large number of efforts to study the peculiar mineralization of Lengenbach. Today, the geology of the quarry is known in detail as well as the structure of the crystalline sulfosalts collected there. 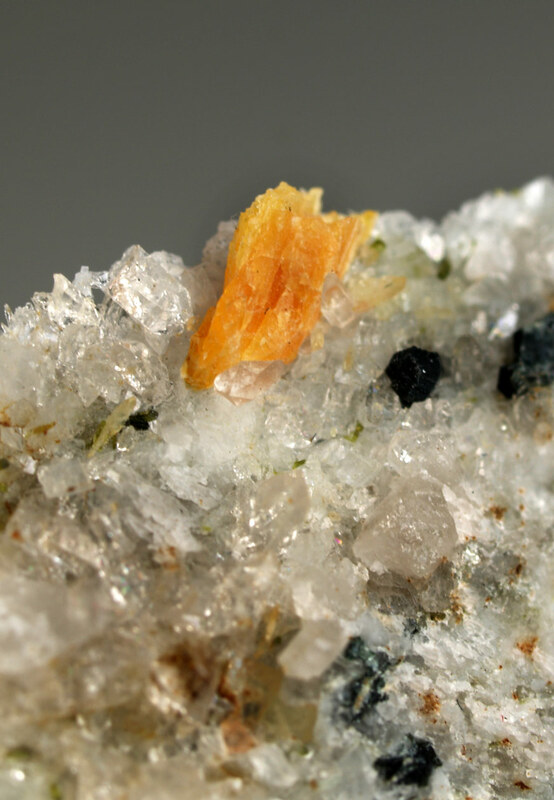 The systematic studies of the collected minerals have contributed to the Mineralogy with a large number of new minerals never described before. 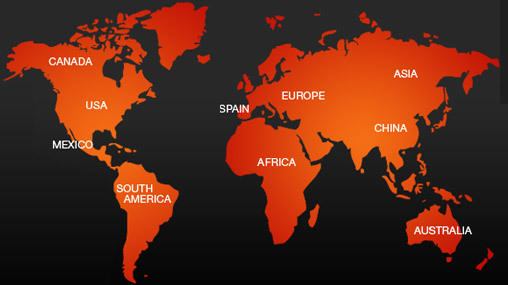 Lengenbach is Type Locality for 29 accepted new minerals, 29 new sulfosalts and 1 new phosphate (2008). 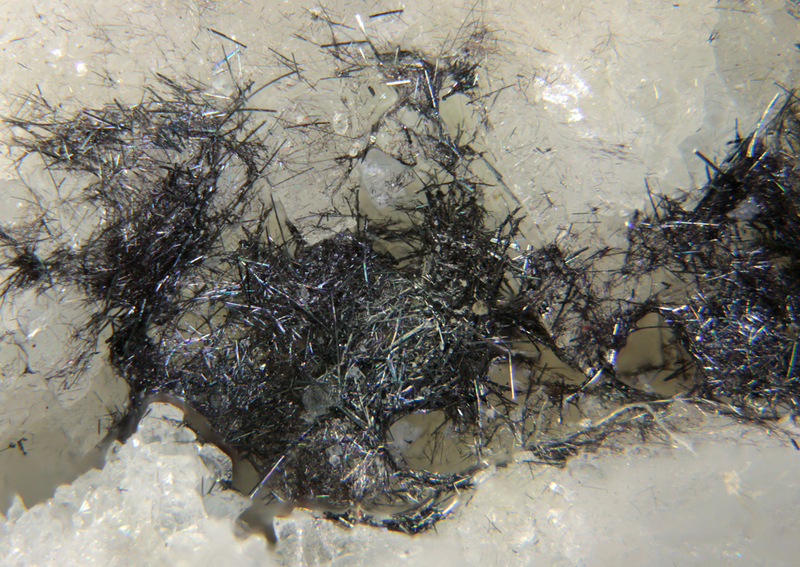 Rich group of needle to fibrous like dufrénoysite crystals, brilliant and disposed in a vug (12x7 mm) in the dolomite matrix. 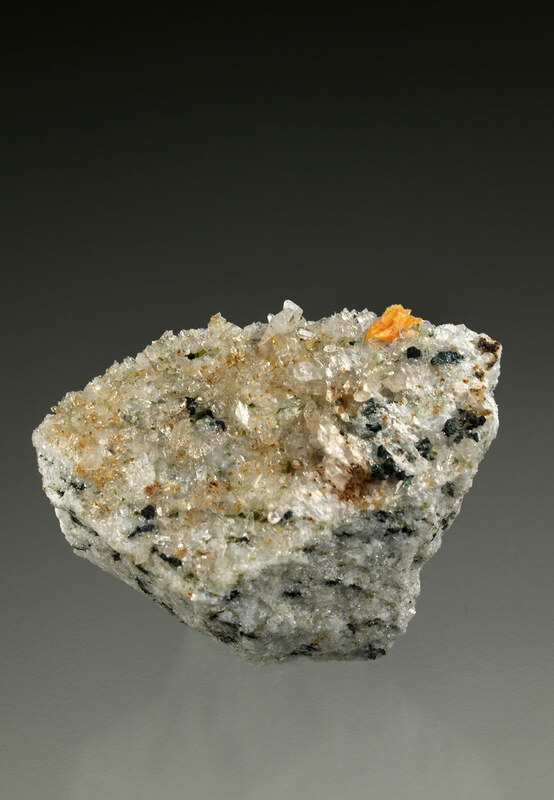 Dufrénoysite is now a member of sartorite group. 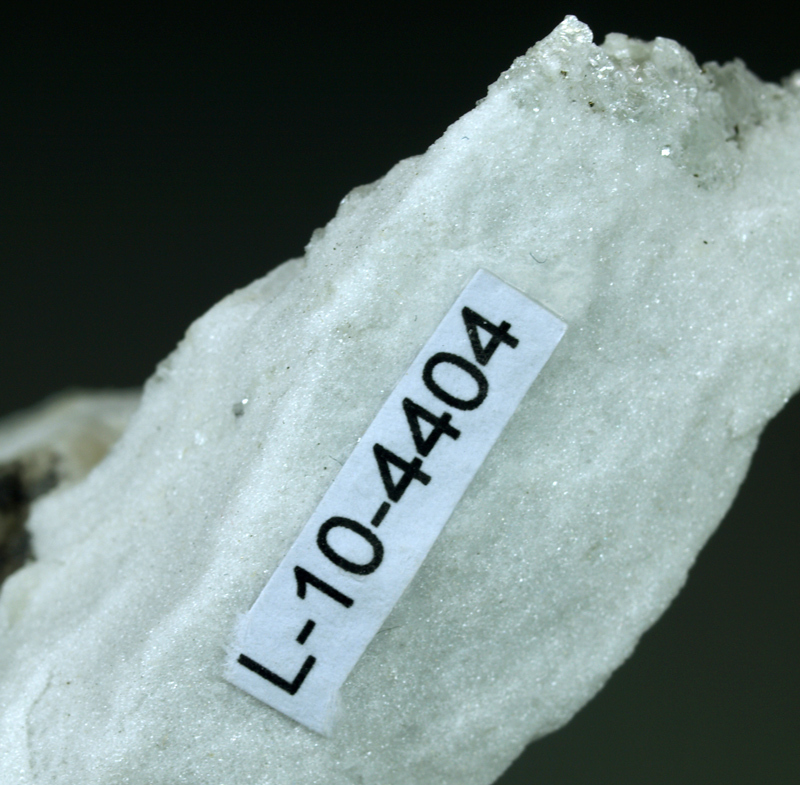 With the FGL (Forschungsgemeinschaft Lengenbach) label L-10-4404 and from the Type Locality. 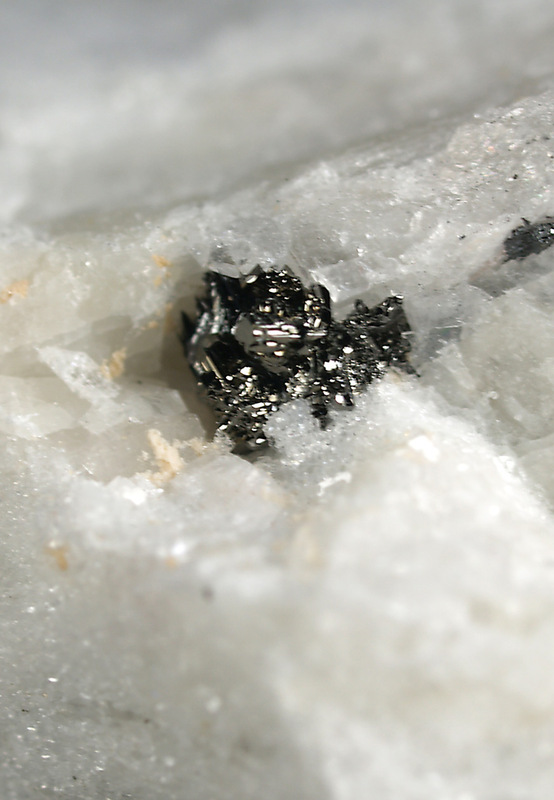 Small group of very brilliant seligmannite crystals, like mirrors, gray to dark brown color. They show well defined faces and edges. 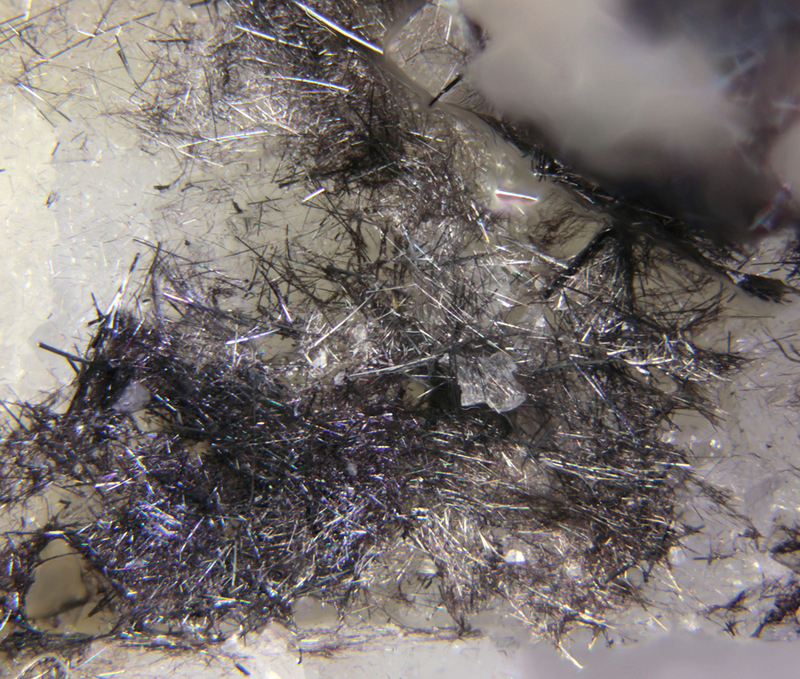 Accompanied by needle-like crystals of dufrénoysite, with fibrous appearance and almost black color, interpenetrating with seligmannite. A premium quality specimen for systematic collectors. BOTH SPECIES have the type locality in Lengenbach. Size: 5.1 x 3.5 x 3.5 cm. Main crystal: 3 x 2 mm. A really interesting specimen of this uncommon sulphosalt. 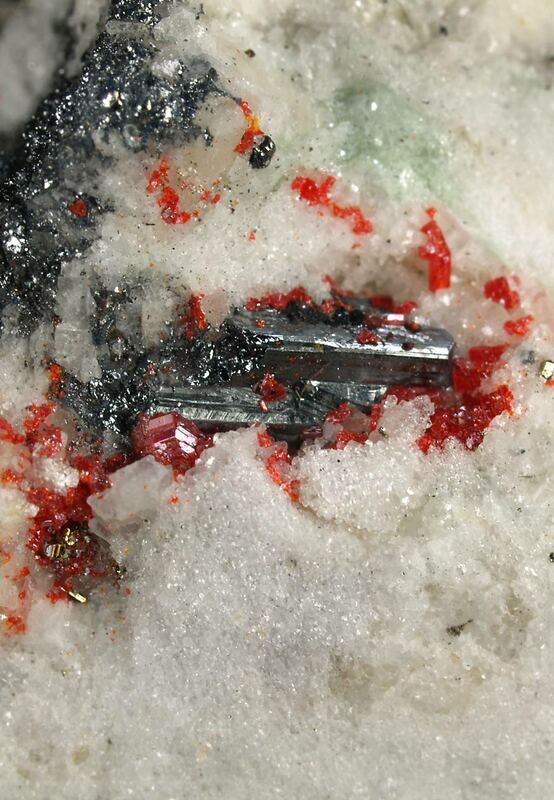 It presents elongated crystals, one with terminal faces, metallic luster and it is accompanied by brilliant realgar red crystals, some of them grew on sartorite. 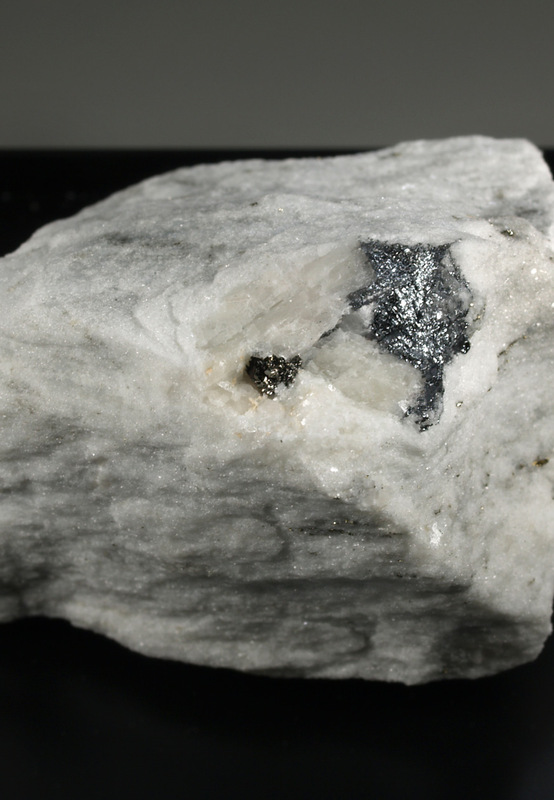 On the LGB dolomite matrix with pyrite. From this classic Swiss locality, type locality for the species. Size: 4.3 x 3.0 x 2.8 cm. Find specimens of this rare arsenite-silicate is a hard job. 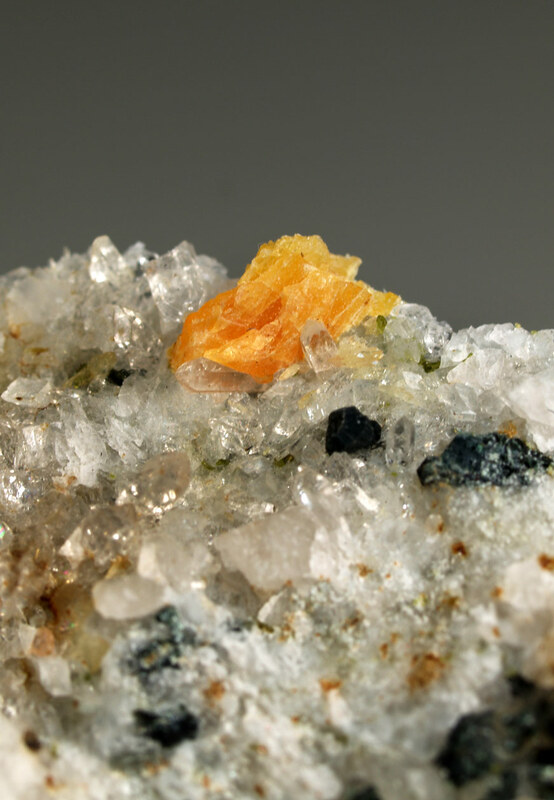 In this specimen we have an aggregate of crystals of asbecasite, with a good orange color, with some visible faces, but fragmented. 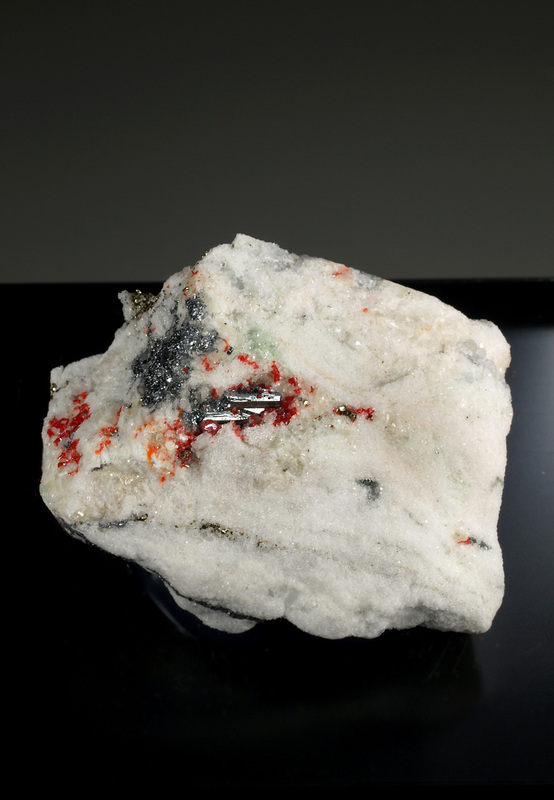 It is accompanied in the matrix by chlorite, quartz and epidote crystals. A specimen to represent the species in a systematic collection. From the type locality for the species. Size: 3.8 x 2.8 x 1.6 cm.